Prime Minister Of India Mr, Narendra Modi Launched The Swachh Bharat Mission On 2nd October, 2014. The Mission Coordinator Shall Be Secretary, Ministry Of Drinking Water And Sanitation (MDWS) With Two Sub-Missions, The Swachh Bharat Mission Gramin And The Swachh Bharat Mission Urban, Which Aims To Achieve Swachh Bharat By 2019, As A Fitting Tribute To The 150th Birth Anniversary Of Mahatma Gandhi, Which In Rural Areas Shall Mean Improving The Levels Of Cleanliness In Rural Areas Through Solid And Liquid Waste Management Activities And Making Gram Panchayats Open Defecation Free (ODF), Clean And Sanitized. The Mission Shall Strive For This By Removing The Bottlenecks That Were Hindering The Progress, Including Partial Funding For Individual Household Latrines From MNREGS, And Focusing On Critical Issues Affecting Outcomes. Government Of India Introduced The Central Rural Sanitation Program (CRSP) In 1986 Primarily With The Objective Of Improving The Quality Of Life Of The Rural People And Also To Provide Privacy And Dignity To Women. From 1999, A “Demand Driven” Approach Under The “Total Sanitation Campaign” (TSC) Emphasized More On Information, Education And Communication (IEC), Human Resource Development (HRD), Capacity Development Activities To Increase Awareness Among The Rural People And Generation Of Demand For Sanitary Facilities. This Enhanced People’S Capacity To Choose Appropriate Options Through Alternate Delivery Mechanisms As Per Their Economic Condition. Financial Incentives Were Provided To Below Poverty Line (BPL) Households For Construction And Usage Of Individual Household Latrines (IHHL) In Recognition Of Their Achievements. Swachh Bharat Mission (Gramin) Yojana (SBM-G): Previously Called Nirmal Bharat Abhiyan (NBA), Is A Community-Led Total Sanitation Program Initiated By Government Of India And Is Being Implemented In The State Since 2004-05. It Is A Demand-Driven And People-Centered Sanitation Program. The Govt. Of India And State Govt. Share The Funding Pattern In The Ratio Of 75:25 Approximately. you can write the following swachh Bharat Abhiyan essay in English on school and collage projects as well. we have covered almost every topic of swachh bharat abhiyan information. To Generate Awareness On Sanitation, The Nirmal Gram Puraskars (NGP) Were Awarded To Recognize The Achievements And Efforts Made At The GP Level In Ensuring Full Sanitation Coverage And Achieving Other Indicators Of Open Defecation Free GPs. While The Award Gained Popularity In Bringing About A Desire In The Community For Attaining Nirmal Status, There Have Been Issues Of Sustainability In Some Awardee GPs. GOI Launched An Award Based Incentive Scheme “Nirmal Gram Puraskar” (NGP) In October 2003, For Fully Sanitized And Open Defecation Free Gram Panchayats, Blocks, Districts And States. Gujarat Has Received A Total Of 2283 Nirmal Gram Puraskar Awards Till 2011 And Stands Third In The Country In Terms Of NGP Received. The Targets/ Goals Under Different Components Of The Scheme, Were Sanctioned By Government Of India As Per The Baseline Survey Conducted In 2004. The Achievements Of The Scheme Are Monitored Scientifically Designed MIS System Available On Http://Sbm.Gov.In/Sbm_New/ For Public Access. Gujarat Has Witnessed Successful Implementation Of The Scheme Across The State Since 2004. The Decadal Progress Of The Scheme Under Different Components Registered By The State Is Impressive. The Rural Sanitation Programme In India Was Introduced In The Year 1954 As A Part Of The First Five Year Plan Of The Government Of India. The 1981 Census Revealed Rural Sanitation Coverage Was Only 1%. The International Decade For Drinking Water And Sanitation During 1981-90, Began Giving Emphasis On Rural Sanitation. A) Bring About An Improvement In The General Quality Of Life In The Rural Areas, By Promoting Cleanliness, Hygiene And Eliminating Open Defecation. B) Accelerate Sanitation Coverage In Rural Areas To Achieve The Vision Of Swachh Bharat By 2nd October 2019. C) Motivate Communities And Panchayati Raj Institutions To Adopt Sustainable Sanitation Practices And Facilities Through Awareness Creation And Health Education. D) Encourage Cost Effective And Appropriate Technologies For Ecologically Safe And Sustainable Sanitation. E) Develop Wherever Required, Community Managed Sanitation Systems Focusing On Scientific Solid & Liquid Waste Management Systems For Overall Cleanliness In The Rural Areas. 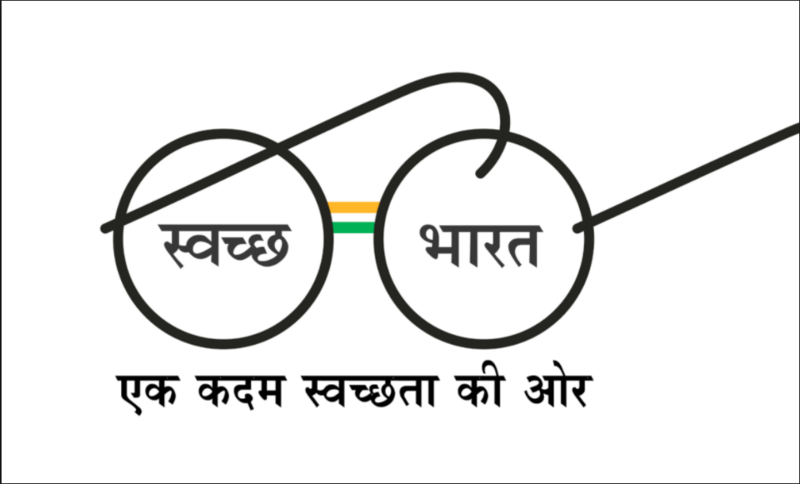 – The Swachh bharat Mission is originated at the Ministry of drinking water and Sanitation. Secretary DWS is the Mission Director, to be power-assisted by extra Secretaries, Joint Secretaries, Directors, Deputy Secretaries and Technical advisors as is set by the govt. of India from time to time. – The Mission can have an observance and analysis Cell that shall be chargeable for concluding relevant and appropriate annual or time period observance exercises of the implementation of the SBM(G) in States, in consultation with alternative agencies like NSSO and Registrar General of India. The Cell shall be accountable for coordination with States and Districts on observance. The Cell shall conjointly monitor the reports and publications being brought out by varied agencies and organizations relating to the ever-changing sanitation state of affairs within the country. The Cell will have the responsibility of observance the activities of all alternative Ministries of the presidency of India and individual States / UTs with relation to the Swachh Bharat Mission. The Cell can work towards developing the SBM (G)-MIS of the Ministry in coordination with the NIC. – The Mission can have a Communication Cell that shall prepare and implement the Annual and long run Communication set up of the Swachh bharat Mission (G) of the MDWS. The Cell can coordinate with the Ministry of I & B, DAVP, DD, AIR, NFDC and alternative communication agencies on the set up. The cell will monitor the Communication set up and activities of states to make sure commonality of focus and purpose. – The National Resource Centre (NRC), a gaggle of specialists in varied aspects of sanitation and water supply, set at intervals the MDWS shall be a technical help unit to the Swachh bharat Mission(G). – As a step towards achieving coordination and convergence among State Departments dealing with Rural Sanitation, Rural Drinking Water Supply, School Education, Health, Women and Child Development, Water Resources, Agriculture, Publicity etc. a State Swachh Bharat Mission (Gramin) – should be set up at the State/UT level. It shall be a registered society under the aegis of the Department/Board/ Corporation/ Authority/Agency implementing rural water supply and sanitation programme in the State. – While States shall decide on an appropriate structure, there should be an Apex Committee at the State level to aid and advise the State Mission. The Committee should be headed by the Chief Secretary with Secretaries in-charge of PHED, Rural Development (RD), Panchayati Raj (PR), Finance, Health, Information and Public Relations (I&PR) as members. Principal Secretary / Secretary of the Department looking after Sanitation in the State shall be the nodal Secretary responsible for all the SSBM(G) activities and for convening the meetings of the Mission. Experts in the field of sanitation, hydrology, IEC, HRD, MIS, media, NGOs etc. may be co-opted as members. The State Swachh Bharat Mission (Gramin) SSBM(G), may be located within the implementing Department of the State government with the Minister-in-Charge of the Department as the Chairperson of the Governing Body. The Principal Secretary/Secretary in charge of the implementing Department will be the Vice Chairman and the Mission Director the Member Secretary. – The SSBM(G) Directorate headed by a senior State level official shall supervise implementation of SBM(G) in the project districts in the State, facilitate convergence mechanism between line departments, ensure preparation of the Annual Implementation Plan for each district as per the requirement of the district, consolidate the same into the Annual Implementation Plan of the State, share and discuss the same with the MDWS/NSBM(G), receive Grant-in-aid from Centre and disburse to the DWSMs/ Zila Parishad/ DRDA as per requirement. States shall provide adequate administrative, technical and support staff for the State Mission. Remuneration of all Government employees in the Mission will be borne by the State. The SSBM(G) can engage technical experts as Consultants to be supported under the programme. – The State Level Scheme Sanctioning Committee (SLSSC) is a Committee comprising of representatives of various Technical Departments, Institutions and Organizations as decided by the State Government to examine and approve district projects and other proposals of technical nature at the State level. The Committee shall have a representative from Ministry of Drinking Water and Sanitation. The “Nirmal Bharat Abhiyan” (NBA) The Successor Program Of The TSC, Was Launched From 1.4.2012. The Objective Was To Accelerate The Sanitation Coverage In The Rural Areas So As To Comprehensively Cover The Rural Community Through Renewed Strategies And Saturation Approach. Nirmal Bharat Abhiyan (NBA) Envisaged Covering The Entire Community For Saturated Outcomes With A View To Create Nirmal Gram Panchayats. Under NBA, The Incentives For IHHLs Were Enhanced And Further Focused Support Was Obtained From MNREGA. However, There Were Implementation Difficulties In Convergence Of NBA With MNREGA As Funding From Different Sources Created Delays. steps to download sbap app. 1. Go to http://msbm.gov.in/ and click on “Download mSBM App –with Export Data option”. 2. An APK file “mSBM_20150116.apk” will be saved to downloads folder in the computer. Please make sure that file size must be “1.58MB (1626kb)”. 3. Connect the mobile phone with computer using USB/Data Cable. 4. Transfer the download file to phone storage. 1. Go to http://msbm.gov.in/ and click on “Download mSBM App – with Export Data option”. 2. An APK file “mSBM_20150116.apk” will be saved to phone storage. Please make sure that file size must be “1.58MB (1626kb)”. 3. Open File Explorer (File Manager) and locate the downloaded file in Phone Storage. If there is no File Explorer (File Manager) installed in phone, download it from https://play.google.com/store . 1. Locate the downloaded file and Click on file “mSBM_20150116.apk”. 2. Make sure that option “Allow installation of apps from unknown sources” is checked (Go to Settings -> Security -> Unknown Sources). 3. Application will open after successful installation. 1. Enter user name and password for login. 1. Make sure that android version must be 4.0 or higher and minimum required RAM size is 1GB. 2. GPS Location must be enabled and set to High accuracy. 3. Device must have internet connectivity. 4. Make sure that option Allow installation of apps from unknown sources must be checked (Go to Setting -> Security ->Unknown sources) before installation of APK file. 5. Reduce camera resolution before capturing the photographs. 6. Dial *#06# to know IMEI number of mobile. 7. Before using mSBM app, Please stop other apps running in the background and clear cache/temporary memory. as we all know Indians are booming to buy a smartphone. every Indian will have the smartphone at the end of 2030 so it is compulsory to the government that have an android or iPhone app for their initiative and Narendra Modi knows this batter. here is the official website to download swachh Bharat app online on Android. we already mentioned Swachh bharat toll free number where you can get online telephonic help as well.